Elmer Bolick passed away in Lethbridge on October 11, 2018 at the age of 89. Born in Standard, Alberta, the youngest of six children, Elmer grew up in Bragg Creek. He joined the navy, serving in the Korean war, during which time he visited Japan and fell in love with the people and culture. After leaving the navy he married his first wife, Kay, and the family, including his two stepsons and their daughter, lived in many places in Alberta, Ontario and BC. His varied career included being a police officer in Calgary and Sudbury, a radar technician, a Notary Public in Vancouver, an entrepreneur and many other occupations. His creative mind came up with several inventions. In his later years he returned to his Alberta roots, where he met and married Reiko Takeyasu. 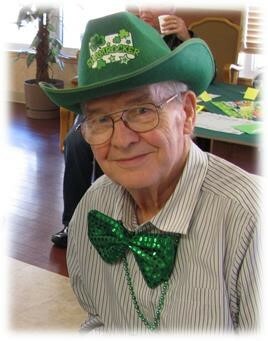 They enjoyed several good years of dancing, singing and travel before illness necessitated his moving to Extendicare, where Reiko continued to visit daily. Elmer is survived by Larry (Pam), Ron (Alison) and Eda (Ralph) from his first marriage, Reiko, Lloyd (Cynthia) and Trent (Veronica) and several grandchildren and great-grandchildren. The family extends sincere gratitude to the caring staff of Extendicare and Edith Cavell facilities. A memorial service will be held at Christensen Salmon Generations Funeral Home, 703-13 St. N. at 11:00 a.m. Monday, October 15. Flowers gratefully declined. No koden, please.